The first solution designed by refugee agencies to help manage refugee services. We partnered with agencies and listened. This was built to help your agency. We are here to help agencies keep up with the administrative tasks of refugee services. Watch now to learn about our industry leading case management solution. Welcome to Refugee Solution. You have found the most comprehensive refugee case management system to help your affiliate agency. 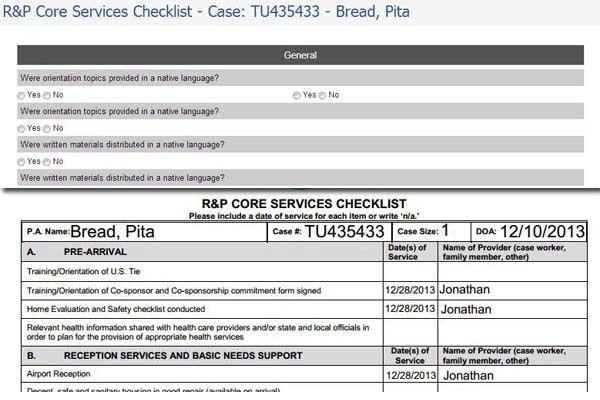 This refugee case management system is like no other. It is built to answer the exact needs of affiliate agencies that perform resettlement and any combination of refugee social services (RSS). We worked with multiple affiliate agencies to the design the system so that it is easy to use while solving all the problems they face on a daily basis. Our software and services can help program directors and case managers keep track of the needs of your applicants. Contact us to today to learn more. Create cases quickly and easily. 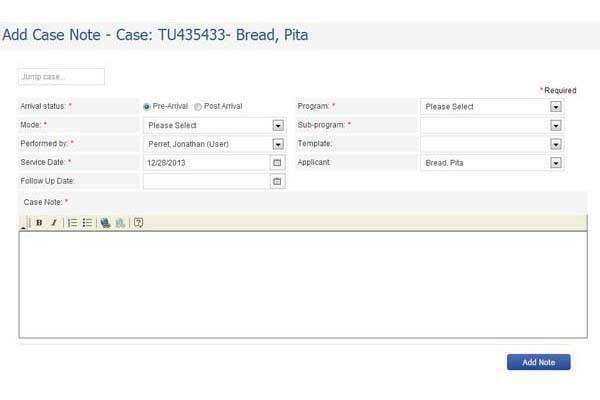 Eliminate the duplication of work of entering the primary applicant information over and over on every document. Add all members of the family and track them as part of the case. Perform case enrollment, our system is so flexible we can support any program and any type of enrollment, case, individual, or even both on a per program basis. The program director can approve or reject the enrollment request, sets the budget, and determines employment eligibility at time of enrollment. Manage expenses, eliminate paper with electronic approvals.Still print out the expenses request if you would like to but everyone can manage spending in real time. 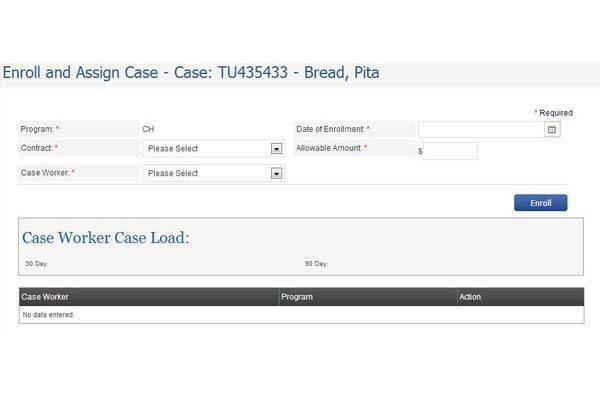 Create case notes quickly, use templates to provide case worker consistency. Create multiple case notes if you have multiple attendees of a service performed. Manage petty cash and credit card balances then export your expenses to your finance department. Save them time from having to manually enter them. Get the checks printed and to you clients faster! Make sure your clients are in compliance to receive RCA and Matching Grant money by keeping track of employment using our job placement system. Tracks any In-Kind services or goods that you may provide your clients. So you can show your affiliates what you are really providing. Manage attendance in your English as a second language (ESL) classes. Manage all of your interpreter needs. Invite them to perform services for your clients. Create any document that needs to be completed and save it in your case file to make your audits faster and easier! Stop using Excel and Word and having data all over the place making it hard to find. 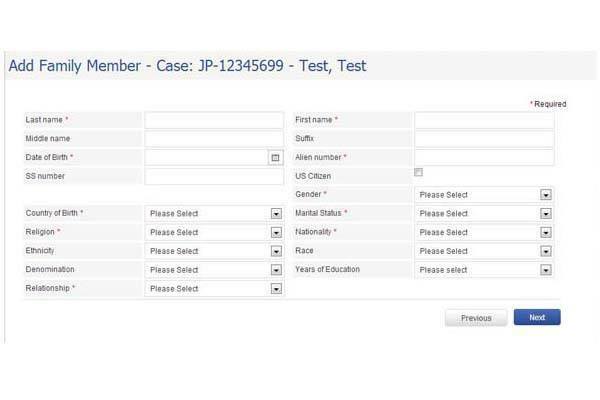 Track the status of a case's progress. Receive alerts on items missing as your 90, 120, and 180 day timelines approach. We are working with major Voluntary Agencies (VOLAGs). Our affiliate agencies can manage cases from multiple VOLAGs for any program in our single easy software service. 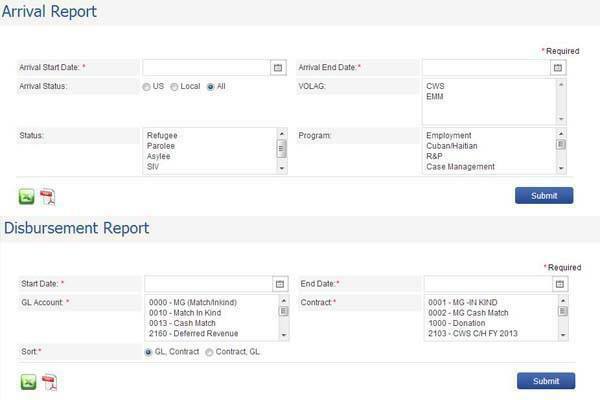 Creating or updating a case is simple with our wizard. 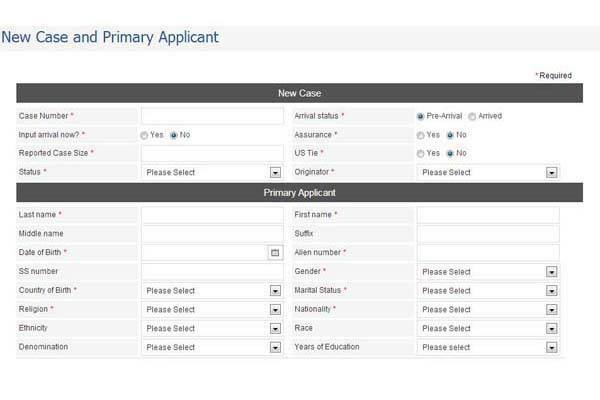 Add secondary applicants and variety of information about applicants such as health, education, employment, and language. Case notes by individual, case notes for a case, apply a case note to multiple cases, apply a case note across multiple programs, standardize your case notes using templates. Case Workers and Program manager can communicate using our referral and enrollment process. Program Manager can set budget when accepting enrollment. 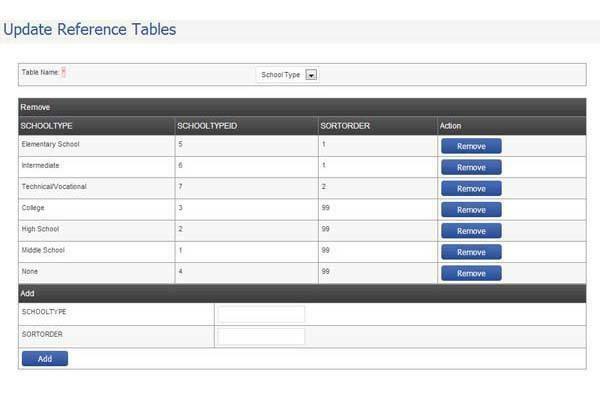 Complete expense request system with multiple level approval to help manage requests. 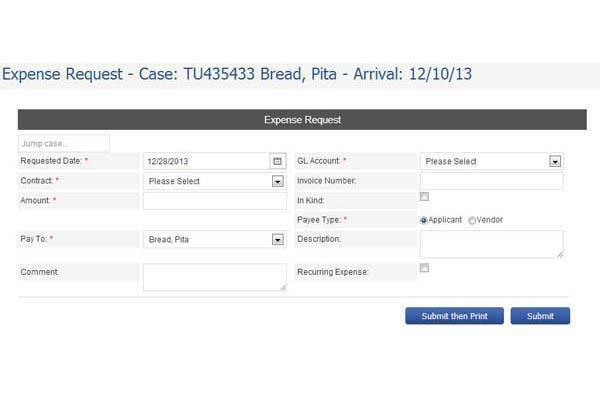 Using expense preview you can see the current expenses of the case making the approval process easier. Control who has access to what and whom gets notified. Also manage lists so your agency can use the terms they prefer. 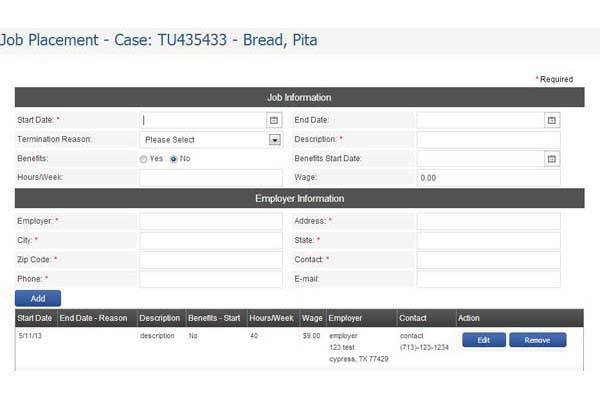 Manage and track individual job changes, pay changes, benefit changes. Get information to those who need it, how they need it. We can save all of your paperwork in the system. We make printing a case file easy.